Give your workout your full attention when you pull on this adidas All Me Warrior Ladies Sports Bra in Black. 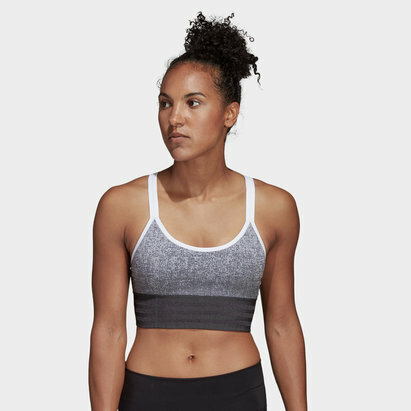 This sports bra from adidas is inspired by creators, designed to stand out and curated for you. It has been crafted with light-support and comes as part of a statement collection which has been inspired by Stella McCartney. It's built to wick sweat away to keep you dry and comfortable even during those hot weather sessions and high-intensity workouts. The lightweight construction feels soft against your skin so that nothing can distract you from hitting that new personal best.